I wish I could tell you this was a day's work. I picked this lot up in just 20 minutes. I try very hard not to let it get to me. We live in a very beautiful area. So can anyone tell me WHY the littering around Bushfield playing fields is so bad? 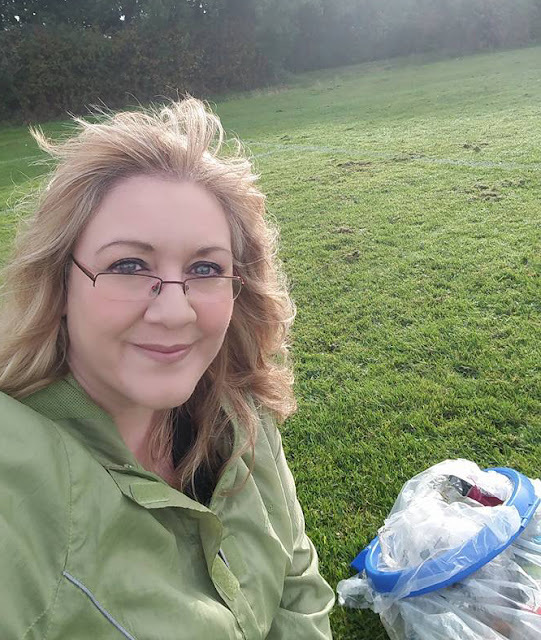 Yesterday, I joined a local litter picking group run by resident Barrie Tulloch to clear the area from the top of Cherry Orton Road in Waterville and along the paths past Bushfield playing fields. The amount of rubbish we collected was quite disgraceful. There are two main categories of litter in this area. The first is dropped by people who use the fields for sport and the paths to get to and from the school. So it's sweet wrappers and crisp packets. Newts may be difficult to spot but they are here and our littering is putting them in danger. Awful. But moaning does nothing. Only action on the part of residents will make a difference. 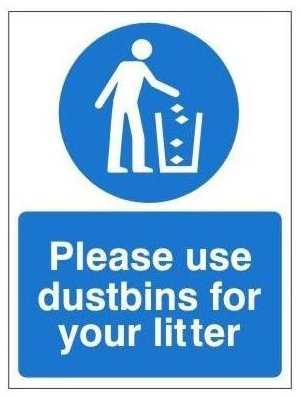 The message is really simple: please take your litter home with you. If you're fit enough for sport, you're fit enough to carry your drinks bottle to the nearest bin (even if that's at your house). Here's another idea. Why not fill your own bottle with your favourite drink and take it back home with you to use again?! I make it sound so simple. That's because it is simple. 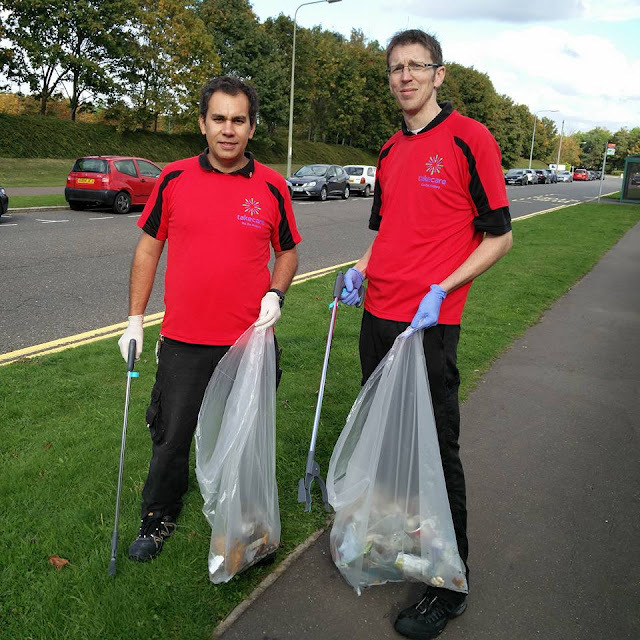 Join Our Litter Picking Group! If you'd like to join us on this litter pick you will be very, very welcome. We supply all the equipment, just bring yourself in suitable clothing (waterproof, ideally!). It can be a nice way to meet other people who care about our area and there is satisfaction in doing something that helps our community and our environment and local wildlife. Drop a line to me or to resident Barrie Tulloch (barrie.tullock@btinternet.com) and we'll let you know when we'll next be picking. Lovely litter-free field, cleared by volunteers, not by magic! Xs mark the spots where crossing the road at Lynch Wood is dangerous. This morning I accompanied a local Orton Southgate resident to the roundabout where Lynch Wood meets Wistow Way, Oundle Road and Orton Parkway to see for myself why local people are growing increasingly concerned about the volume and speed of traffic in the area. Lynch Wood is a thriving business park. The businesses there employ many people from our local area and further afield and long may this continue. However, the recent arrival of a new business has resulted in a huge surge in traffic to the area, particularly at morning and evening peak times. Traffic from the Lynch Wood roundabout along Wistow Way is often heavy and fast moving. Although there is a bridge for pedestrians to use if they want to get from Orton Brimbles to Orton Wistow, residents trying to access Wistow Primary School on foot from Orton Southgate and Orton Northgate are more like to use a crossing that has no facility to make it safe for pedestrians. People I've spoken to fear it is only a matter of time before someone is seriously injured or killed. Eventually, I was able to cross the road when a car slowed and waved me across. However, this is only safe when traffic coming the other way is also willing to stop. One can easily imagine why a pedestrian in a hurry might take their chances and dart through the traffic, but it really isn't safe to do so. Another Orton Southgate resident says, "As one who walks to Wistow Primary School most days, it's very tricky crossing the road at Lynch Wood as cars are normally non-stop. Nine times out of ten it's a case of waiting for a car to slow and flash its headlights. We always cross at the spot with the traffic island so at least we can wait safely in the middle of the road. Making it an official pedestrian crossing would be a huge help." It's half term at the moment, so traffic is much lighter that normal and I will take another look next week to see how bad it is when parents as well as employees are trying to use these roads. I'm told it's quite normal now for traffic to be backed up along Orton Parkway all the way to the roundabout at Newcombe Way, making it very difficult to exit Orton Southgate residences by car. 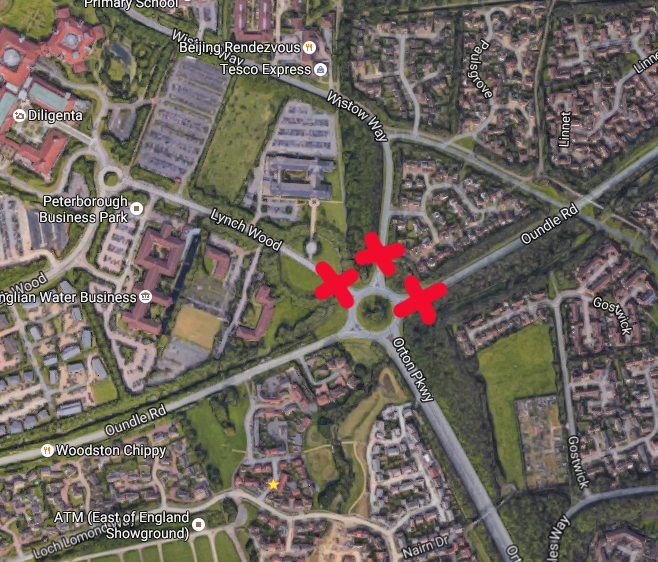 It's very clear that the roads in this area can be dangerous for pedestrians and very congested for motorists too. Are you affected by the traffic at Lynch Wood in the mornings? Do you feel safe negotiating these roads in the morning and afternoon at peak times? How do you think safety or congestion could be improved? Transcript of video one: Good morning. So I’m at Lynch Wood this morning which is the main business park in Orton Waterville. We’ve got a real probably with traffic as you can probably see behind me. So, the roundabout behind me here is the one that feeds into Lynch Wood and it also has other roads off it such as Wistow Way, Oundle Road and Orton Parkway. It’s actually relatively quiet this morning because it’s half term, but still it doesn’t look quiet. Now as you can see it’s very, very difficult for pedestrians to get across here. Children need to get across to get to school and if you just about look behind me you can see that that’s the pathway across there and how am I ever supposed to get across this road. It’s very dangerous. So this morning I’ve come here with a resident and she’s going to show me the problems here and I don’t think this is the worst of it. I think if we go round the corner in a second we’ll find it's even more of a problem so I'll catch up with you there. Transcript of video two: Good morning. So I’m now at Oundle Road where it feeds into Lynch Wood and it’s about 8:45am. This is actually half term at the moment so it’s not as busy as it might otherwise be but as you can see behind me there is a lot of traffic. It’s moving in, well the queue is not that slow is it? It’s very, very hard to cross here. I’ve actually been waiting to cross here for a while. So you can see there’s the crossing just behind me but I’m not able to use it unless a car slows down and lets me across. And then the problem that you have – I’ve got a big truck coming past now, very big truck – the problem that you have if someone says to you okay you can cross now you’re dependent on the people in the other cars realising that otherwise you might be stepping out in front of traffic. So it’s very, very dangerous here and me and someone who’s opposite me on the other side of the road right now have been trying to cross here for minutes and no one’s stopped to let us cross and there’s been no gap in the traffic. Imagine if you’re a young child with not too much road sense or you’re pushing a pushchair or you’re disabled. It is possible to walk a bit further down. You can see in the distance a footbridge there but people don’t always use footbridges do they, and one can't help but think we need some kind of measure here to make it safer for pedestrians. 'It's mind over matter', I told myself. So no one was more surprised than me when two small but painful blisters appeared on the sole of my right foot on Sunday night. How did they get there? 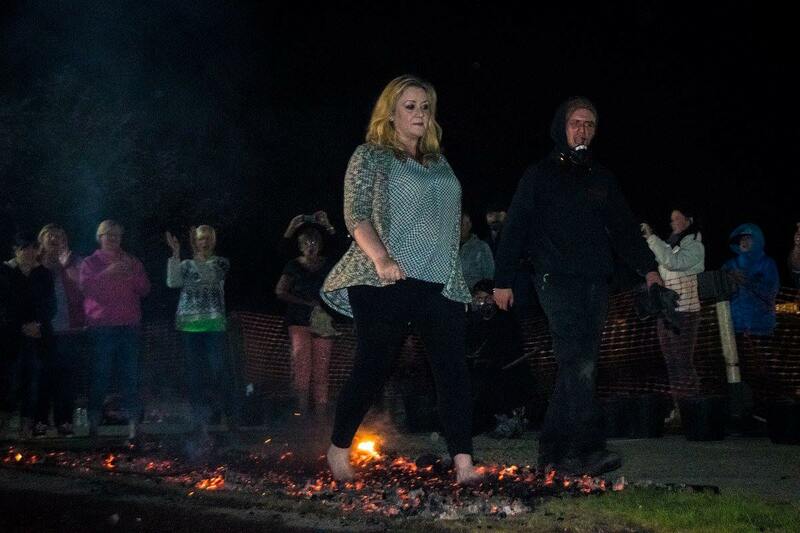 I had just walked for 20 feet (that's 9 paces) over embers burning at a temperature of 1236 degrees Fahrenheit. Why would I do such a foolhardy thing? For the love of animals. I approach everything in life this way! Smile, walk, worry about any consequences later! It was at about this point that I began to feel the burn. 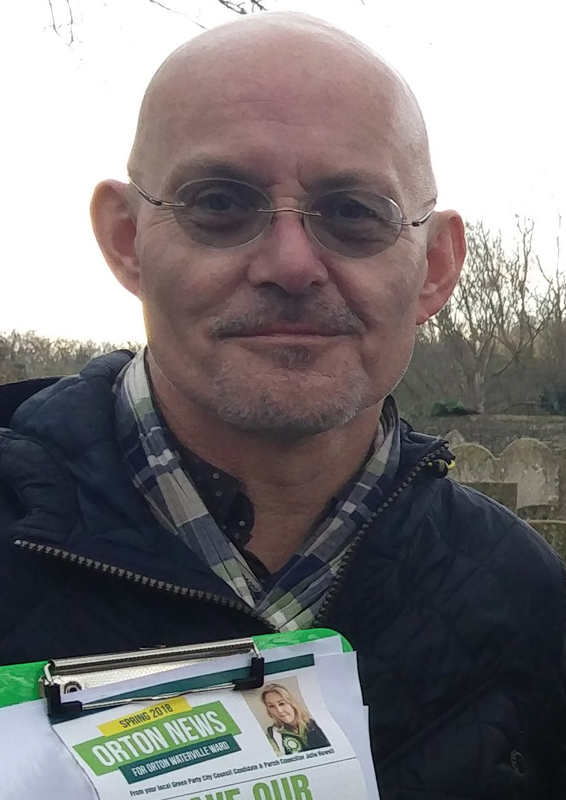 I've been a supporter of Wood Green in Godmanchester since 2005. This was the year I first homed two elderly cats from the animal rescue charity. Their names were Betty and Lola and they were both 15 years of age. Since then I have homed Smudge (15), Jasmine (10), Sooty (14), Derek (14) and Gracie (4) and a dog called Reggie (7). My cat Betty lived until the ripe old age of 20. All have brought joy to my life beyond measure. 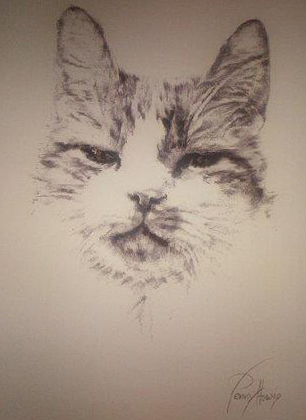 This picture of my cat Smudge was drawn by artist Penny Howie. 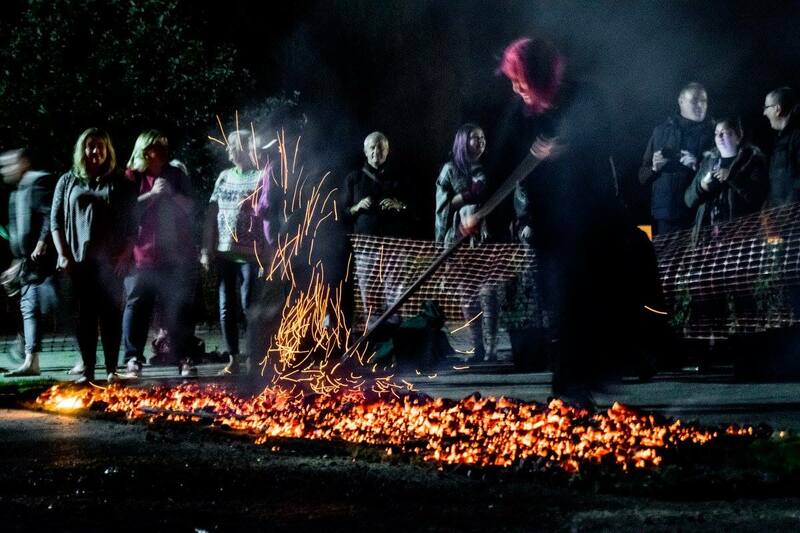 When I heard that Wood Green had organised a fire walk fundraising event I was one of the first to sign up. I also took the opportunity to start a blog about my cat Gracie, who is the newest addition to my feline family. Gracie was not doing well when I met her. She had been living a very stressful life and had begun to self harm. She was terrified of people and very aggressive. With time, patience and perseverance I am very proud to have helped Gracie to turn her life around. She is now the most sweet-natured and loving cat I have ever owned. Gracie has taught me a great deal about trust and fear. You can read about Gracie here. I approached the 20 feet of burning embers with confidence. Perhaps a little too much confidence! By walking a fraction too slowly I allowed the soles of my feet to remain in contact with the burning embers for slightly too long. The result: scorched feet! But do you know what? It's no big deal. Any 'suffering' that I experienced is nothing compared to what the animals that Wood Green rescues have been through. The experience was a very positive one for me. 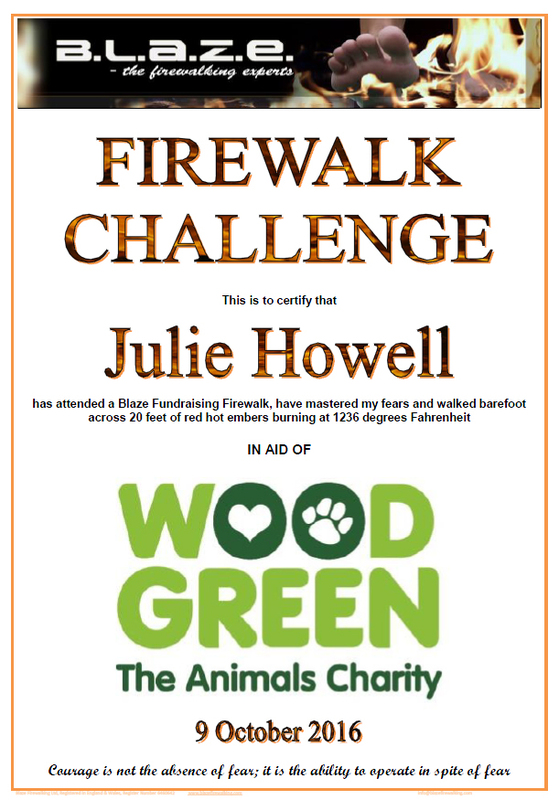 Not only did I raise £305 for Wood Green, but I learned a little bit more about confidence than I knew before. I walked on this. Could you? 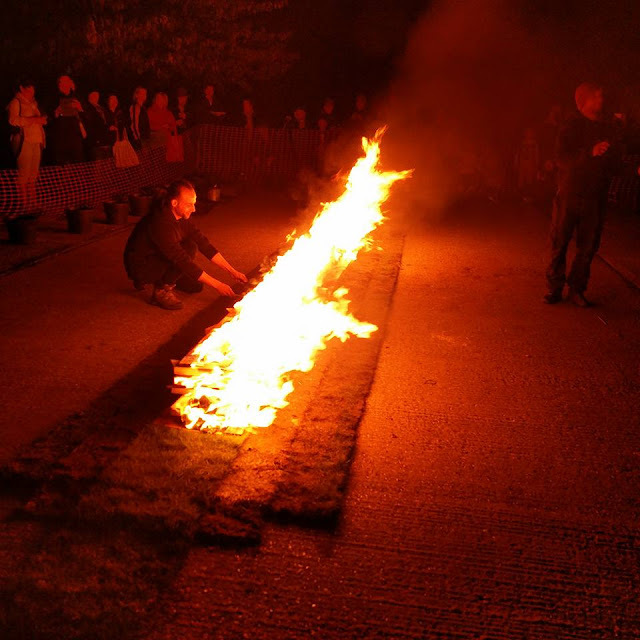 There is no magic to fire-walking. It is real fire and it is as hot as they say. The 'trick' is in how the heat is conducted and if you stand on the embers you will burn. Walking at a brisk pace is the key. Would I do it again? Absolutely. When you put yourself into a new situation or do something that scares you a little you soon discover that you have personal resources far beyond what you had imagined. 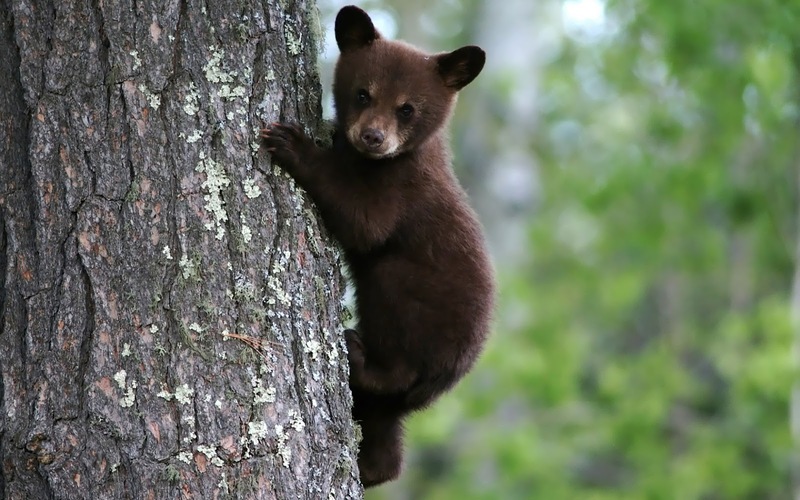 Most of us do the same things every day because familiarity feels safe. But when we take personal risks and try things that we wouldn't 'normally' do, it can help us to realise that life is a lot less limiting that we had imagined. If you get the opportunity to do something a little outside your comfort zone I encourage you to embrace it wholeheartedly. In the coming months, there will be news of many activities in Orton that the Green Party is organising and we'll be looking for volunteers from our local communities to help us! If you've never volunteered before and feel a little daunted, grab your courage with both hands and walk with us. You'll be amazed by how good doing something different for the benefit of your local community makes you feel. 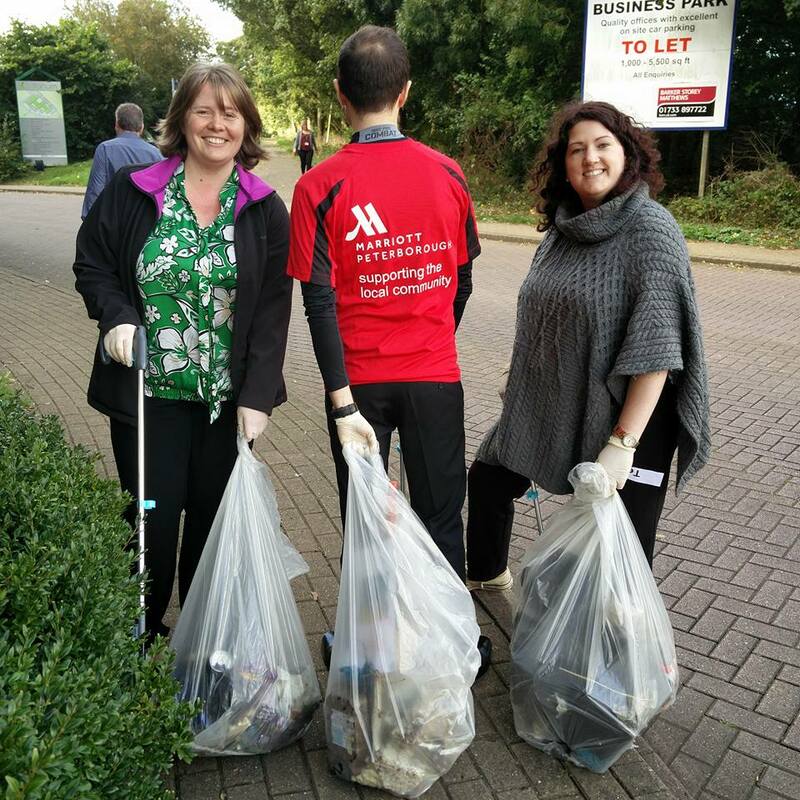 I had a fantastic time last Thursday on a huge community litter pick of the Lynchwood Business Park. 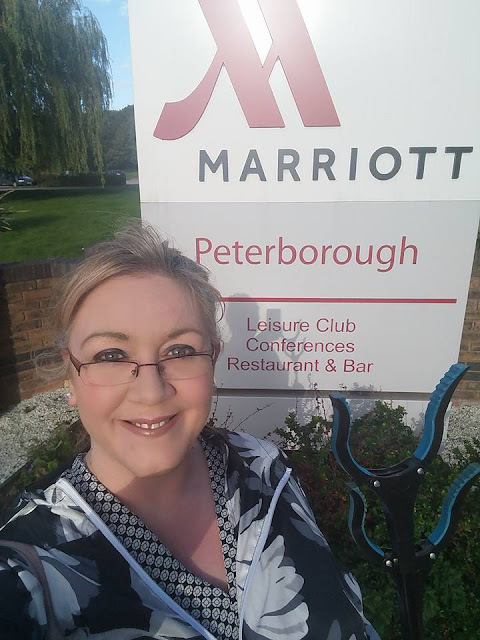 This fabulous event was organised by the team at the Marriott Hotel Peterborough, which is located on the corner of the Lynchwood estate, very close to our border with Alwalton. What started out as a conversation about what the staff of the Marriott might do to become more involved in the local community became an amazing day of fun and exercise in beautiful weather. The whole team embraced the event wholeheartedly. 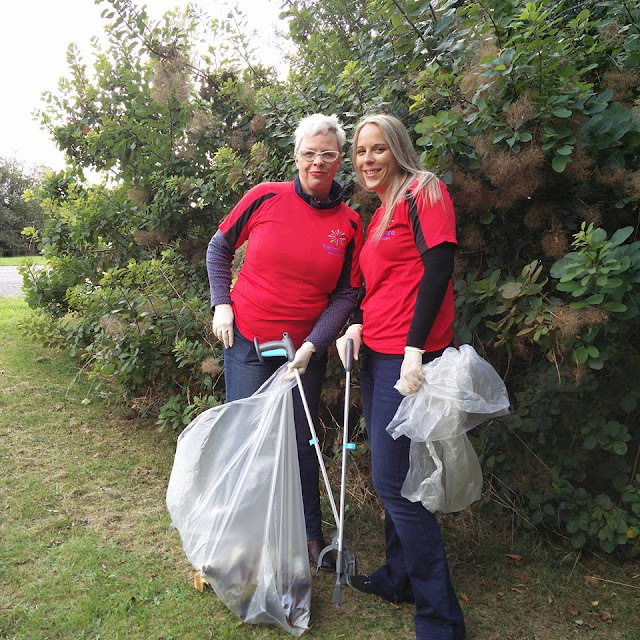 There was even a competition and prizes available to the team who picked the most litter, the team who found the oldest piece of rubbish and the team who found the most unusual discarded item. The cycleway that runs along Lynchwood is a notorious litter spot. These ladies did a great job of clearing a lot of the rubbish away. Different areas yield different types of litter. These chaps collected a lot of cans from the bushes that line Lynchwood. We were really fortunate with the weather and delighted that some local residents joined us on the litter pick, including 13 four-year-olds and their teachers from one of the local nursery schools. The children loved helping us to find items to put into our rubbish sacks. They found a discarded leather jacket, a bicycle tyre and one young lady told me that she found a bear in a tree (I'm not so sure about that one - the bear must have run off by the time I got there)! in Peterborough it is wise to keep your eyes peeled and your wits about you. It's really important to help children - as well as adults - to understand why and how litter harms our environment. 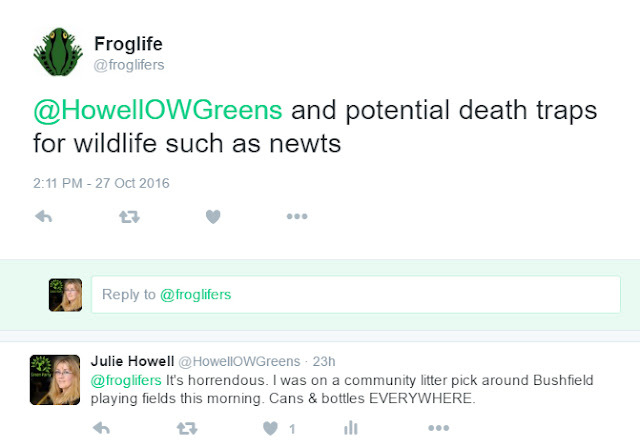 For one thing, a community strewn with litter looks awful and makes the people who live in that community feel awful. I probably hear more complaints about rubbish on our streets and in our green spaces than I do about anything else. I cannot overstate the great harm that litter also does to our natural environment. If you find the litter that you see depressing, just imagine what harm the plastic rubbish that has become trapped under hedges is doing to the ground beneath it. The longer it lies there the more damage it does, suffocating the ground, harming plants and wildlife, reducing biodiversity. 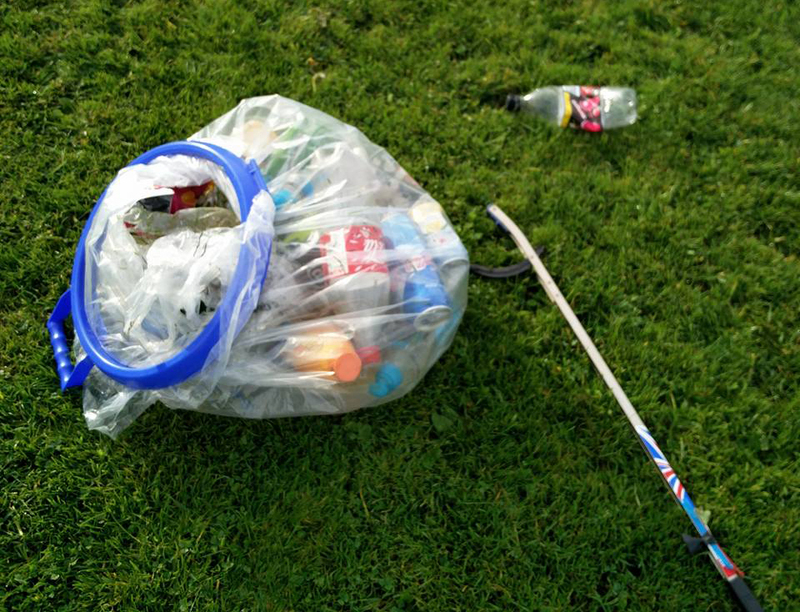 This is why, when we do our litter picks, we encourage everyone to dig their stick as far as they can into and under bushes to reach the bottles, cans and plastic wrappers that are hidden there. So what was the most unusual item that the team from the Marriott removed from the bushes in Lynchwood? You'll never guess. 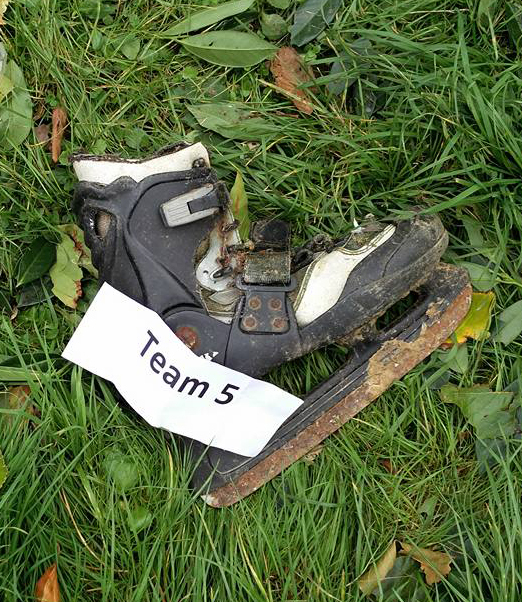 Team 5 found a rusty ice skate in a bush. Its partner is still unaccounted for. One can only wonder how a single ice skate came to be in the middle of a business park. And what happened to its partner? We may never know. There are several bus stops on Lynchwood and bus stops attract one type of litter in particular: cigarette ends. 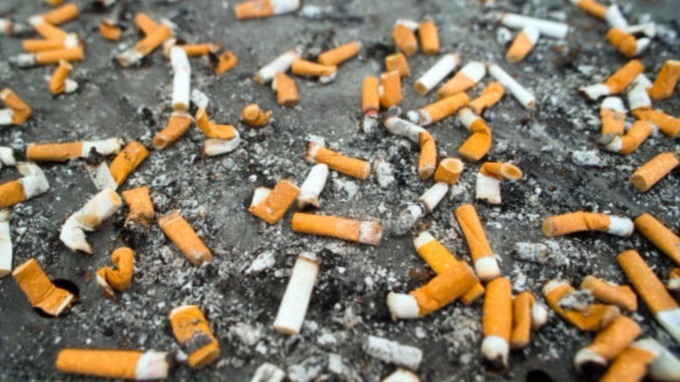 Contrary to popular belief, cigarette butts are not biodegradable. In fact, they are made from cellulose acetate, which is a form of plastic. Yes, that's right, PLASTIC. If you drop one on the floor it stays there until someone picks it up. If no one picks it up it will eventually be blown under the nearest hedge and it will stay there, suffocating the earth beneath. The Marriott team valiantly removed a huge number of cigarette ends from the street and for that alone we, and the environment, are very grateful. 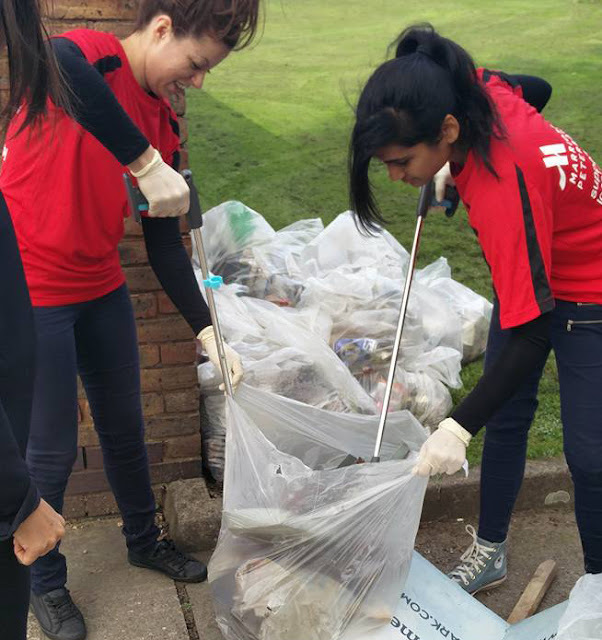 By the end of two hour-long shifts of litter-picking, the Marriott team had managed to collect an incredible 27 bags of litter (plus a number of items such as street signs and parts of a computer that didn't fit into the bags). It's worth pausing to think about that. 27 bags of litter from a non-residential area and most of it was food packaging. Peterborough City Council does a fine job of keep our streets clean and safe, but the amount of litter that is thrown into bushes is overwhelming and it isn't put there by nature, it's put there by human beings. If you work in or visit Lynchwood Business Park, I have one very simple request. Please, take your litter home with you. 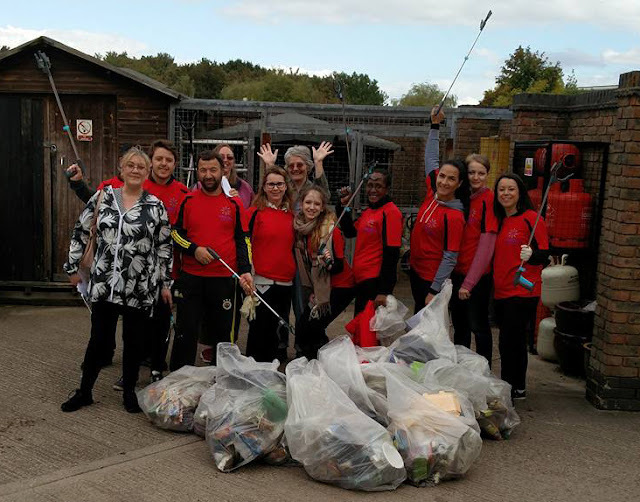 We had a lot of fun on this litter pick, and it was really satisfying to clear so much rubbish from such a small area, but we really shouldn't have to. If you have finished with the wrapper from your sandwich or your can of cola is empty but there is no bin to hand your only option isn't to throw it in a bush and assume fairies will take care of the rest. Take your litter home with you! Happy Anniversary! 25 Years With MS. This blog is about our community in Orton Waterville. However, today's a special date for me so I hope you're happy for me to talk a little bit about why. 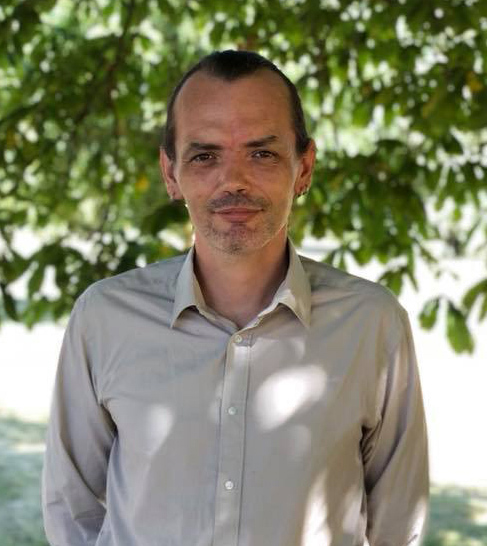 On 4th October 1991, my life changed irreversibly when I was told that I have the progressive, chronic neurological condition multiple sclerosis (MS). What I'm about to say about that may sound odd, so please bear with me. MS is not a cause for celebration. While not life-limiting it has the capacity to wreck lives. Or as we 'MSers' like to say, MS isn't a death sentence, it's a life sentence. However, my own particular diagnosis remains one of the best things that has happened to me. I don't say this out of denial, nor because I think there's good in every situation or that everything happens for a reason. I say it very simply because the months leading up to my diagnosis were terrifying as I knew something was wrong but had no idea what it was. Finding out what it was was an intense relief. I was only 19 when the symptoms started, though on reflection I can now trace them back even further than this. When my GP confirmed what I had suspected the overwhelming emotion that came over me that dark October day was relief. Not fear. Not sadness. Relief. Speak to anyone else with MS and they may very well say the same. MS is still a very difficult condition to diagnose. There is no single, definitive test for it, and back in 1990 MRI machines were in short supply so people like me had to rely on medical opinion and a few other tests that were a lot more invasive than an MRI, such as vision evoked potentials and the dreaded lumbar puncture. In fact, I'd have to wait another five years for an MRI (which confirmed the original diagnosis of MS). So why the relief? It's two-fold, really. As I've already said, the relief of finally getting an explanation for troubling symptoms cannot be over-stated. Living with unexplained and increasingly strange symptoms (such as double vision and going cross-eyed for six weeks) can be immensely stressful. Although there is still no 'cure' for MS, when you know that MS is what you're dealing with you can start to find out about it and learn about the range of treatments that tackle symptoms and make life easier. But the main reason for my relief - and the reason why I feel that getting that diagnosis was one of the best things that has happened in my life - was that I was liberated from the chains of worrying about what could be wrong and free to embark upon the rest of my life. I'm not going to describe MS here as you have Google at your fingertips but I'm always happy to talk about how it has affected me. It does limit me in some ways but has it held me back? Not really. This is important: I can only say 'not really' because of the fantastic support I have received, from friends, family, employers, the MS Society and others who have accepted that 'it is what it is' and enabled me to achieve the things I've been able to achieve in my life. There have been some sacrifices, such as driving (because I don't always trust my vision), but people have always been kind about offering me lifts and I use public transport or walk the rest of the time. Do I feel I've missed out? Am I less independent? No, not really. I've been able to work around it pretty well thus far. In 1995, I established one of the world's first online communities of people with MS. It's called Jooly's Joint and has over 60,000 members world wide. Through this, I've been able to help many thousands of people with MS get their head around it and have a better transition into life with MS than many of us had before the WWW and social media were invented. 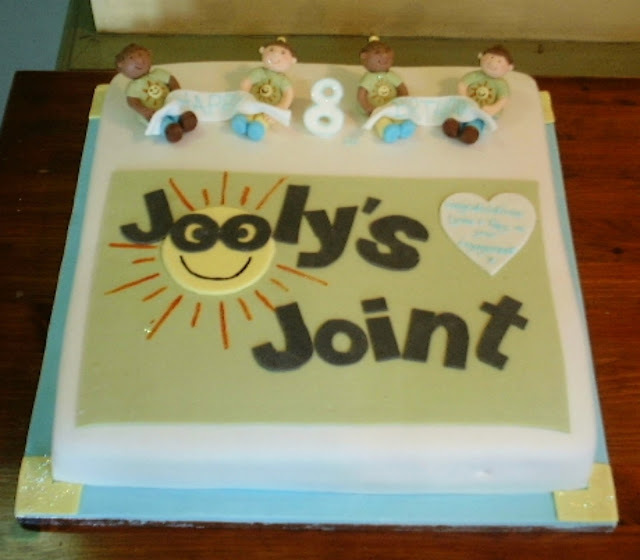 While obviously pleased and proud to do this, Jooly's Joint has also been of huge support to me over the years and I'm very pleased that having MS has enabled me to help other people in the same situation. I have no regret about having MS. I made the decision many years ago that I would not wake up every morning either regretting my life or wishing I was someone else. I'm very happy to be a person with MS, even on the more difficult days. MS has given me insight into life with disability and a far greater sensitivity to the things disabled people struggle with that I might have otherwise. I am grateful for that. It's a very personal thing, but for me that's how it is. So happy SILVER anniversary to my MS. 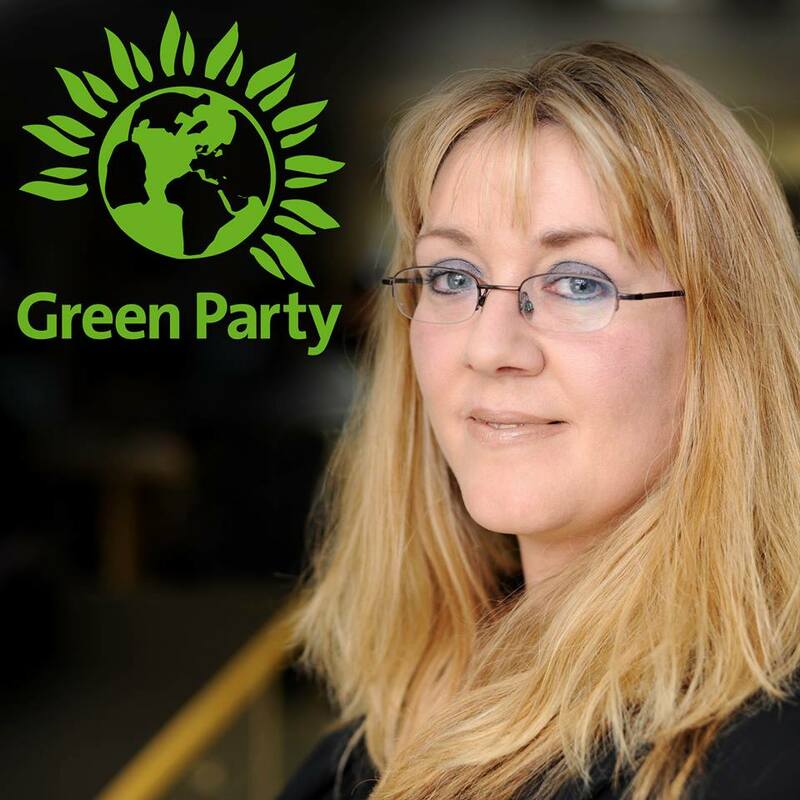 I have to say, when I was 20 and I wondered what my life would be like at 45 I did not imagine I'd be the co-leader of Peterborough Green Party. How wonderful and surprising life is. Here's to the next 25 years.